Open Heart Magic’s unique Hospital Bedside Magic® programs excel because of our remarkable community of volunteer Hospital Magicians. After Hospital Magicians work with kids in their hospital rooms, parents often follow them out into the hallway, explaining that this was the first time their child has smiled since arriving at the hospital. Being a Hospital Magician will change you. 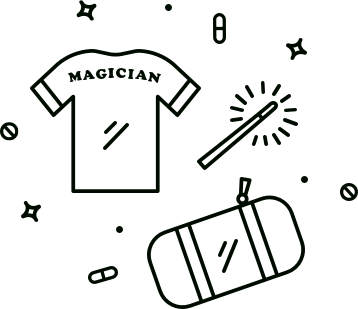 This volunteer role promises to be one of the most rewarding experiences of your life. You begin your training by learning professional, close-up magic. Then, you move on to learning how to engage kids at critical moments in their treatment. 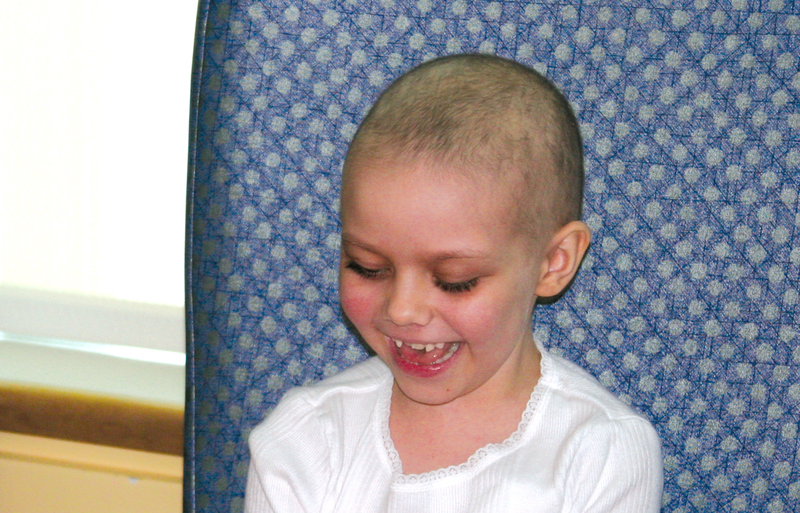 Being able to bring hope and laughter to a critically ill child puts everything else in perspective. Who makes a great Hospital Magician? From young professionals to retirees to everyone in-between, what brings our diverse volunteer community together is a desire to help kids. We’d love to have you join this very special group. Volunteers agree to hospital service for at least one year; most re-apply to continue volunteering for years to come. When trying to engage young patients, it helps to be fun, friendly and not afraid to be silly. Previous magic skills aren’t required, but dedication to learning magic is. Like mastering a musical instrument or a foreign language — learning sleight-of-hand magic takes time, patience and plenty of practice. Hospital Magicians must be there on time, every time. Sick kids eagerly look forward to each visit from their magician. Hospital staff tell us that young patients get through difficult treatments more easily, knowing their magicians will soon be there. Working within the medical environment requires sensitivity, patience and understanding. Volunteers must know and follow strict hospital protocol — something which is critical to each patient’s safety. Some heroes wear capes, ours wear black magician coats. Identifiable by young patients, family, and staff alike, these prized jackets provide magic when it’s needed most. Our intensive 12-week training program teaches volunteers everything from professional, close-up magic to the strict hospital protocol needed to keep young patients safe. An important focus is training volunteers to be able to adapt magic interactions for kids in different medical situations (i.e. a girl who can’t speak or a boy who can’t use his hands). Hospital Magician candidates work hard during weekly, two-hour Magic University sessions as well as independently throughout the week. 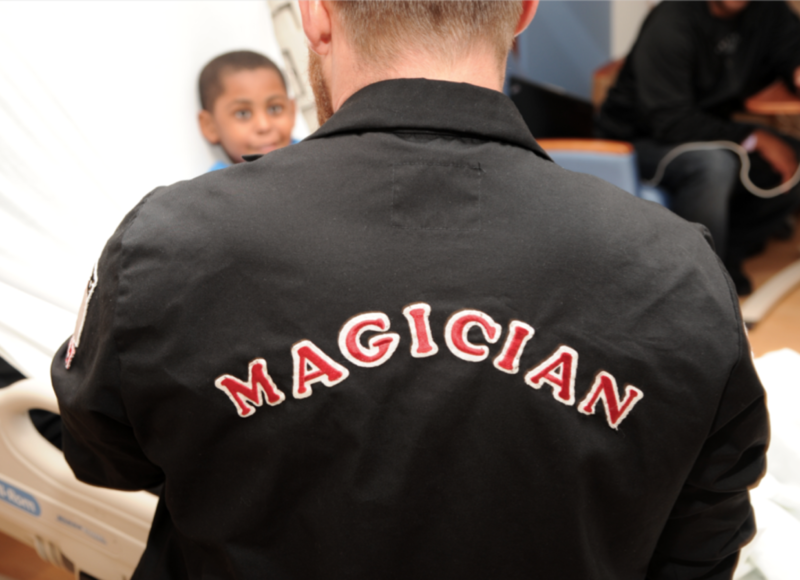 Candidates have opportunities to practice their magic performance — and their approach to teaching kids magic — in front of our experienced trainers. To be certified, candidates must pass 3 protocol quizzes and 3 comprehensive evaluations testing the knowledge they’ve gained from Magic University. In addition to in-person training, Magic University has online videos that support what candidates are learning in class. Think you have what it takes to be a hospital magician? There is a common understanding among our 150+ Hospital Magicians that transforming a critically ill child also transforms the volunteer. This begins with the instant gratification of seeing a scared patient turn back into a smiling kid. There is a special camaraderie among Hospital Magicians. 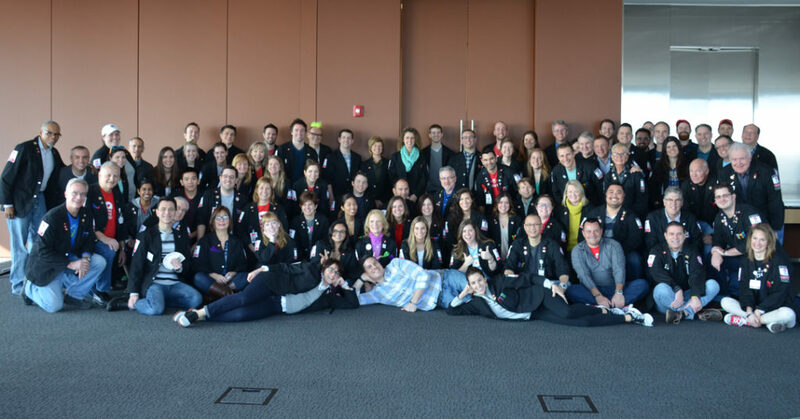 You see it during trainings and social gatherings, when these volunteers celebrate not only friendship, but a shared dedication to improving the hospital experience for sick kids. If you have questions or would like to know more about becoming a Hospital Magician, please reach out to Becky Evans. She can be reached via email or by calling our office at 312-624-8079.